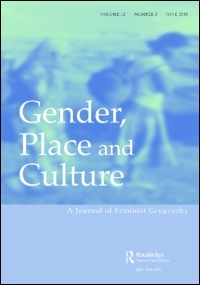 Liveable Lives research team members have co-written a paper, entitled 'Towards transnational feminist queer methodologies', which was yesterday published in Gender, Place & Culture - a feminist geography journal. This paper is based on a conversation between the research team members about what it means to do queer feminist transnational research. You can see the paper by visiting http://www.tandfonline.com/doi/full/10.1080/0966369X.2017.1372374/.